With a population of about 65,000, a thriving economy and a high yet affordable standard of living, Johnson City TN is a great place to buy real estate. National media has recognized this hometown friendly community as one of the best places to live and do business. Whether you're looking to raise a family or enjoy your golden years, Johnson City just might be the perfect place for you. When people choose homes for sale in this town they'll find that they are surrounded by history. Henry Johnson had the honor of founding the community in 1856. Initially it was a railroad stop known as Johnson's Depot. The establishment of three railroad lines quickly made it a major destination. Growth continued to be rapid until the early 1890's when an economic depression hit the country. The community enjoyed a resurgence in the 1920's when its importance to bootlegging operations led to its moniker "Little Chicago." In fact, rumors suggest that Al Capone was a part-time resident. The modern home buyer will find that life here is much quieter and more peaceful these days. The city's bustling Parks and Recreation department oversees nearly 20 parks along with dozens of athletic fields. People who buy homes here will also have the opportunity to use four recreation centers where a wealth of programs and activities are offered. Various hiking trails, a public golf course and two swimming pools are also available for the home buyer to use. It's no surprise why history buffs choose properties in Johnson City. It allows them to visit the Andrew Johnson National Historic Site, which celebrates the 17th President of the United States, frequently. Davy Crockett's birthplace is just a stone's throw away as is the excellent Rocky Mount Living History Museum. Johnson City TN is also ideal for people who love the outdoors. Hiking, boating, caving, climbing and more can all be enjoyed here. The local theater scene thrives with the Jonesborough Repertory and the city's own community theater. People who buy homes for sale here will be able to enjoy one of the South's best open air festivals each June. The Blue Plum Festival is the signature event of the region. Filled with live music, outstanding food and plenty of arts and crafts, this event is free fun for the whole family. 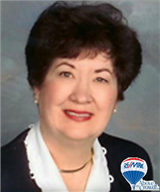 Let Barbara Hubbs, a professional real estate agent, help you get acquainted with this friendly, beautiful community. Many lovely single family homes are on the market, and one of them is surely perfect for you.